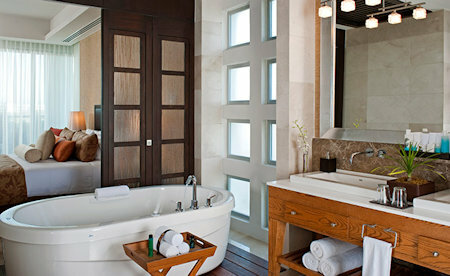 5 Night Stay in a Grand Master Room at Grand Luxxe in Nuevo Vallarta, Mexico! Grand Luxxe Nuevo Vallarta in Nuevo Vallarta, Mexico - Buy a 5 Night Stay in a Grand Master Room! 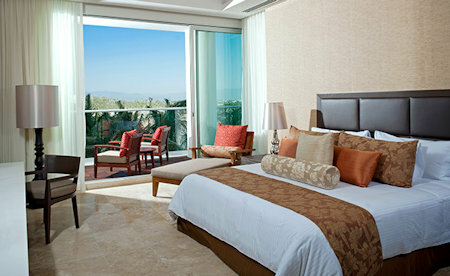 Enjoy 5 Nights Stay in a Grand Luxxe Grand Master Room at the Grand Luxxe in Nuevo Vallarta, Mexico! 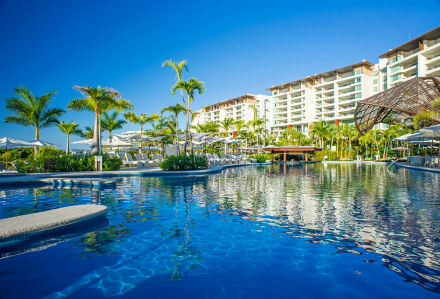 Recipient of the Five Diamond Award, Grand Luxxe Nuevo Vallarta offers members one of the most exclusive and luxurious vacation experiences in Mexico. 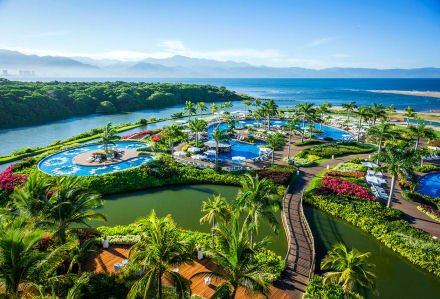 Situated on the Pacific Coast state of Nayarit, one of the world's largest natural bays. Located 10 minutes from the Puerto Vallarta International Airport and just 25 minutes from Puerto Vallarta downtown. 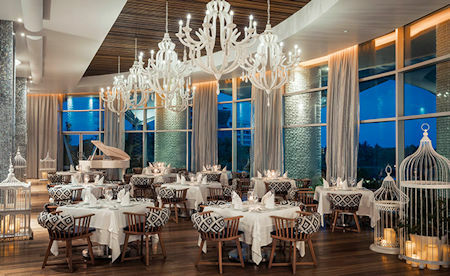 Guests will enjoy a variety of restaurants with International a-la-carte meals. Nayar Golf offers a 71 par 18 hole Jack Nicklaus course. 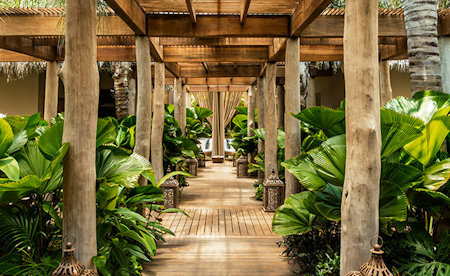 Plunge into the glamorous, shimmering pools and relax in private lounges all day long. Bring your children to our Kid's club and enjoy many activities for the whole family. The Master Room features one bedroom with a king-size bed or two double beds, a private terrace, one bathroom with a Jacuzzi tub, and a TV. The Following Check-in Dates are Available for a 5 Night Stay! Your GRAND MASTER ROOM will sleep 2 adults and 2 children. 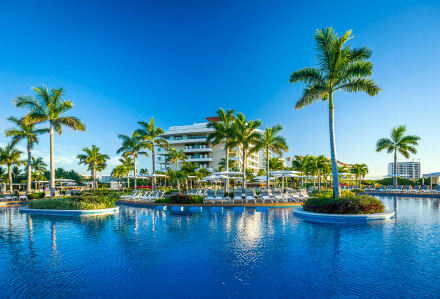 Resort fee includes: One way transportation Airport to Hotel, transportation throughout the resort, local phone calls, basic internet for 1 device, gym access, press summary, a Welcome drink, Daily Housekeeping service, cover to the "Santuario" and 25% resort credits.